I am so excited about this yarn! Two skeins of #39 and two skeins of #25 Lang Yarns Mille Colori Baby! Purchased online from The Yarnery in St. Paul, Minnesota. If you're not on their email list, I'd highly recommend it for the knitting inspiration. As soon as I saw their version of the ZickZack Scarf, I began the search through Ravelry projects to decide what color schemes I wanted to use. Since I didn't plan to start the project until late August or early September, I wanted a combination of colors that reflect walking into the Lowe's Garden Center in early fall to see all the fall mums in bloom. Bright greens and oranges with shades of lavender/purple, burnt red, yellows, etc. I want purple to be an accent color, not the dominate color, and all of the colors to be very nature-like, yet bright. Colors 39 and 25 achieve this perfectly! I can't wait to get started! A special thank you to Shelly and Scott at The Yarnery who helped me via email by recommending the best colors to achieve my vision. It was the second weekend of Charlotte Restaurant Week. This time we drove north to Mooresville, NC (a small historic town on Lake Norman) to another fabulous restaurant, the Epic Chophouse. It was even better than the one last weekend. I could get used to this! 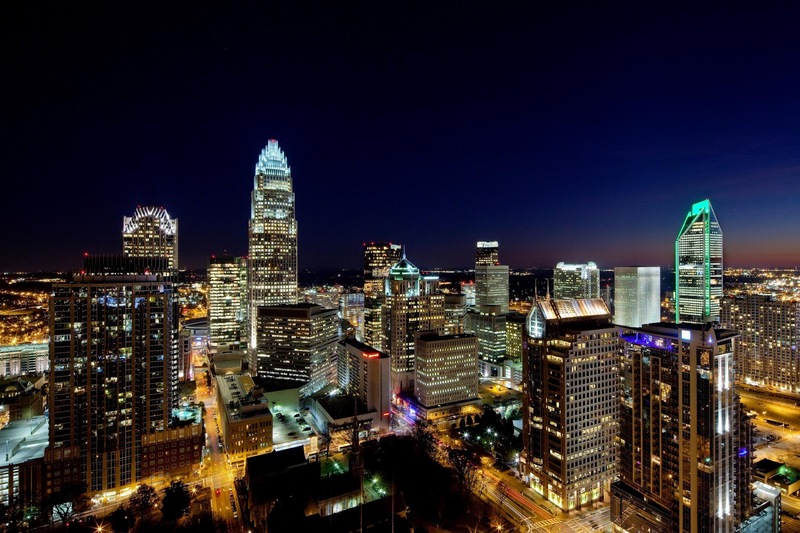 Doesn't Charlotte have a beautiful skyline? We don't drive into the city very often, and I am always amazed by it. It is Charlotte Restaurant Week, which is a great way to try out a new restaurant at a reasonable price. Last night we went to the Myers Park neighborhood, one of the oldest and most well-known areas near uptown, to an Italian place called Primo Tuscan Grille. We enjoyed a delicious four-course meal with primo friends Susan and David. Notice the beautiful scarves worn by us belle ragazze. Sue and Dave just returned from #atripofalifetime to their family homeland, Italy. They brought me this bellissimo cotton scarf, most definitely in my best colors, a bello leather bracelet, and a box of chocolates from Torino, site of the 2006 Winter Olympics. Our daughters played soccer together from ages 11/12 to ages 17/18. We have eaten together more times than you could count at every Cracker Barrel within a 200-mile radius. Lots of trips with teenage girls! Those years will always be some of the best memories of our lives, and the end result has been the permanent friendships our families have developed from those days. Now we enjoy getting together for any excuse we can find. 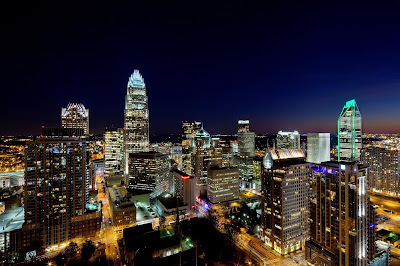 I hope you'll visit Charlotte one day. 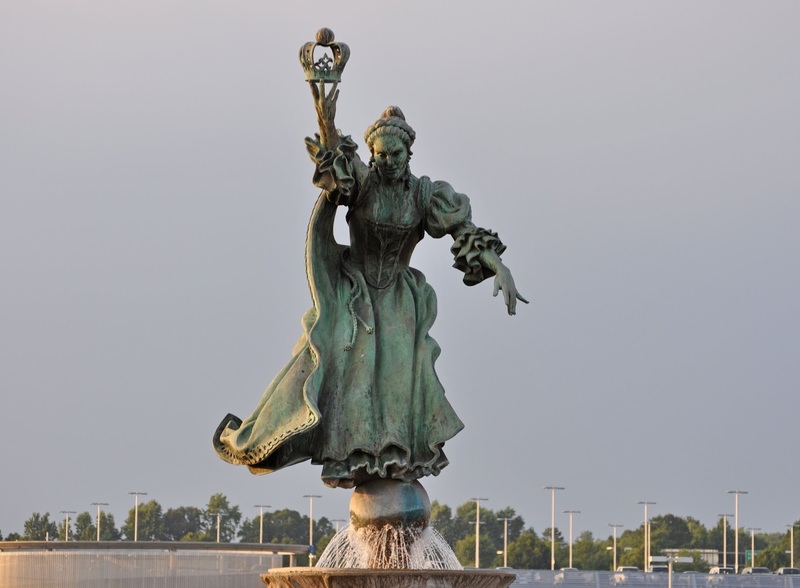 Queen Charlotte will be waiting to greet you! It was a wonderful long weekend, starting with a family birthday celebration for our son (#28). Saturday morning we went to our town's Fourth of July celebration that was mostly kid activities, a bike parade, etc., and a lot of fun. 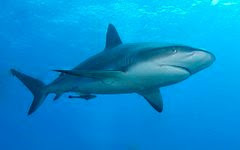 Now my attention is turned to the anticipation of August when Steve and I plan to head to the beach for a vacation. I grew up in rural Wyoming, the daughter of a sugar beet farmer. I didn't see the ocean for the first time until age 25. We never took a family vacation. It was a big deal for my dad to take a day off so we could go to a nearby reservoir for a family picnic. What I'll read . . .
What I'll knit . . .
My daughter replenished my stash with five new skeins of Peaches & Creme. I love knitting with cotton yarn in the summer, and making dishcloths is a great way to try out new stitches and patterns. The current one on my needles is the chevron stitch used in the ZickZack Scarf. I cast on 48 with size 6 needles, although if I make another one I would use a size 7. Have any of you knitters used Tahki Cotton Classic for dishcloths? I want to give it a try. I've read that the mercerized cotton is more absorbent, but the ladies in my LYS say it is less absorbent. What is your experience? What I'll wear . . . Swim suits, cover ups, monogrammed tote bag. I'll look like a walking Land's End advertisement, but I love their merchandise, especially the high quality swim suits that come in TALL sizes! Sharks? Not a bit worried, probably won't get in deeper than my shins.